← Drinking in public before Lunch?!?!? wednesday, november 30, 2011. about 5:50 pm. corner of sixth and natoma. 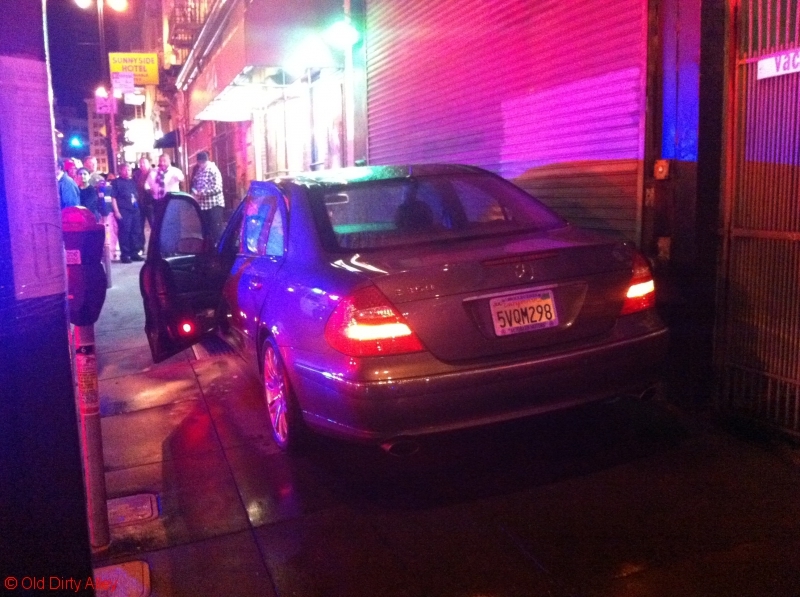 cab rear-ends car, car jumps curb, car shears off fire hydrant, car bounces off building, car comes to rest on sidewalk. water pressure, being what it is, results in a geyser about 30-40 feet high for about 15-20 minutes. 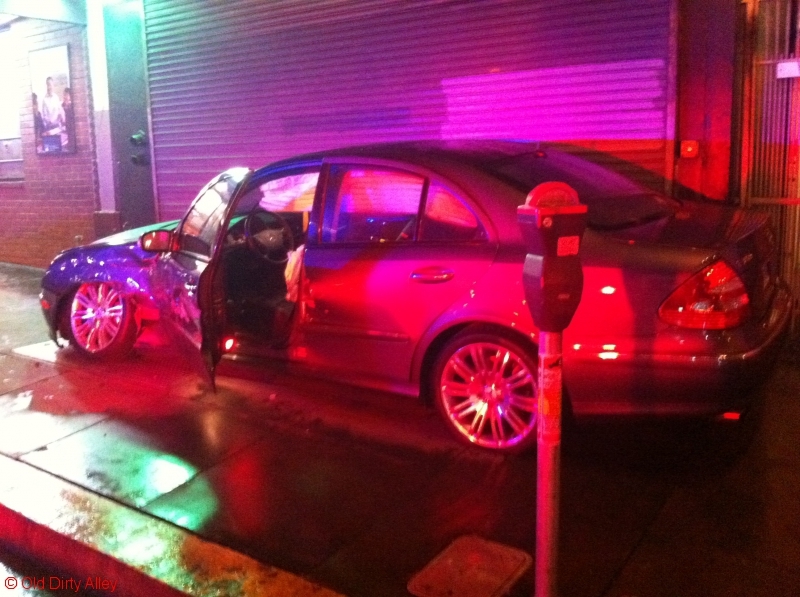 they took the driver of the vehicle to the hospital (no word on her condition) but her passenger/husband was unharmed. 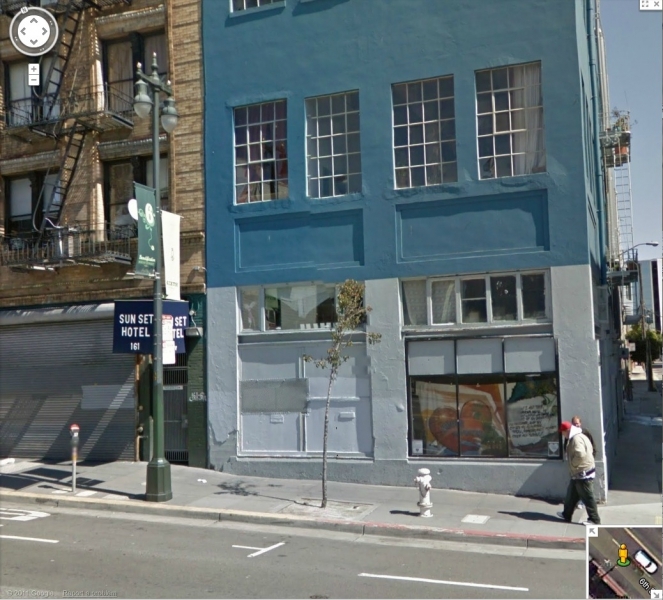 This entry was posted in 6th street, natoma street, old dirty alley, san francisco, the streets. Bookmark the permalink.